It’s been quiet on the home front. 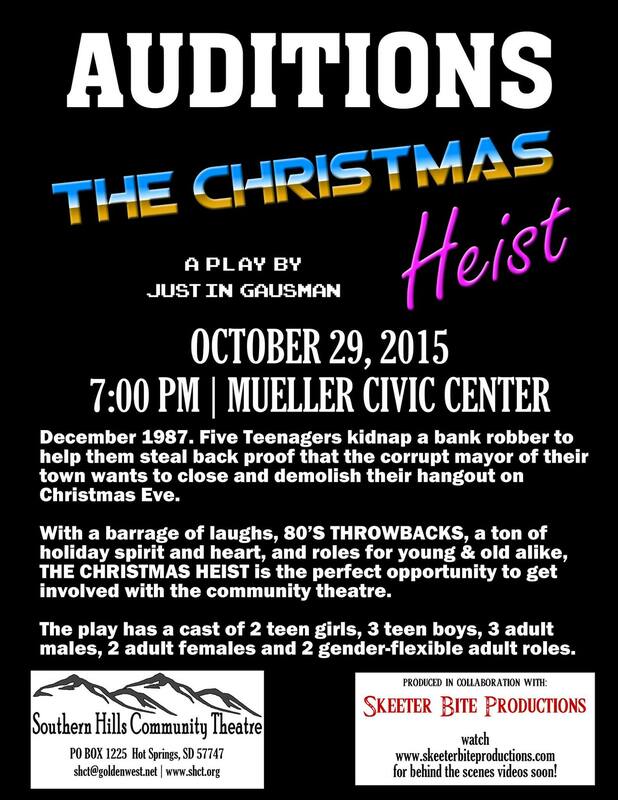 I’ve been undergoing preparations for the next big Skeeter Bite Productions project: The Christmas Heist, produced in coordination with Southern Hills Community Theatre. Below are the details on the upcoming auditions on October 29 in Hot Springs, SD. I’m really counting on getting a strong cast & crew for this production, which I will be documenting throughout. More info coming soon on the behind the scenes end. See you on the flip side.